My mother-in-law recently confided in me that she was in possession of a box of old genealogy paperwork that she really did not know what to do with. She had been doing some house cleaning and came across the box, which had been in her possession for several years. She obtained the paperwork while going through the estate of a relative who had passed. It is very common for surviving family members to be left to deal with the life’s work of a deceased genealogist. A significant amount of genealogical data is lost every year due to the death of genealogists. Genealogists get old, they die and their paperwork is lost. Usually heirs have no idea of the value of what they have and are mostly interested in getting rid of it to free up space in their home, so they end up tossing it in the trash. Being a bit of a genealogy type, I agreed to take a look at the paperwork and evaluate what she had. My first impression of the paperwork is that it was clear that much of the work appeared to be done in the 1970’s or 80’s before the advent of personal computers and all the other tools and conveniences of modern genealogy. Many of the papers were hand written or typed on a typewriter; clearly this person was doing genealogy research many years before the hobby of genealogy gained its recent popularity. One of the first documents to catch my eye was a yellow application form for the organization Daughters of the American Colonists. On the hand filled out form was an ancestor named John Wright III from the colony of Virginia. This ancestor was from the original 13 colonies and was who she was using as her claim for inclusion into the organization. From other paperwork, I discovered that she was in fact a card carrying member of the organization and was assigned her own member number. I can only assume that this organization vetted her research before allowing her membership into such a prestigious society. 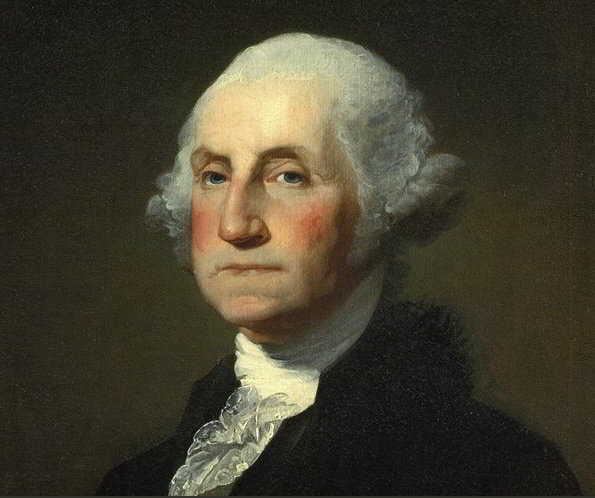 Since George and Martha did not have any children, there is no direct linage back to George Washington. Familial relationships have to come from a common male ancestor of the Washington family. In our case, that was Colonel John Washington who was born in 1632 in Essex England. The moral of this story is that you never know who might be hiding in your family tree and how easily this type of information can be lost to the ravages of time. It is important to pay attention to the genealogists in your family and communicate your interest in what they are doing. Otherwise, important family history like the story described above may be lost forever.